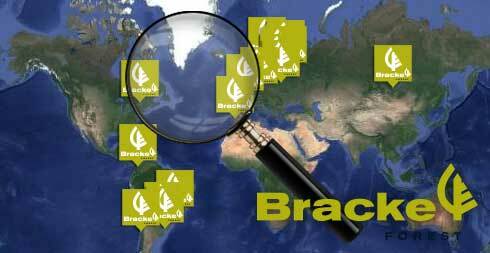 Access to the Bracke Forest AB website allows you to obtain information concerning the company’s activity and products. In connection with said access and with all commercial relationships, Bracke Forest AB acknowledges the principles sanctioned by the Privacy Code (Swedish Privacy Legislation) on the subject of personal information. When accessing certain pages of our website, you may be asked to fill out a registration form that identifies your personal information or requires your comments. Your personal data may be provided by you within the context of commercial relationships. The data you provide will be forwarded via email also to third parties, specifically to the company Fassi Gru S.p.A. (VAT: IT00834280166). The Data Processing Controller is Bracke Forest AB Single-shareholder - Head Office: Svedjegatan 11, 84331 Bräcke, Sweden - Tel. +46-693 10575 - Fax +46-693 10109, in the person who, from time to time, is granted the legal representation, unless a specific controller is appointed pursuant to the Swedish Privacy Legislation.